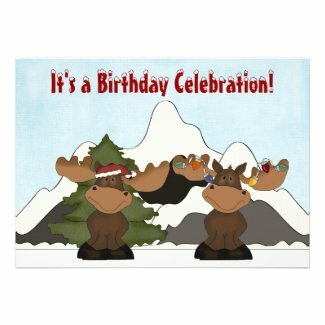 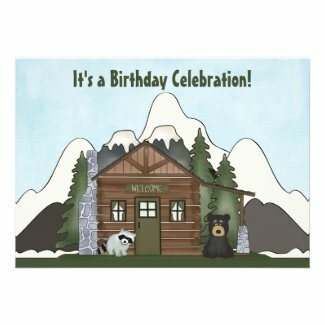 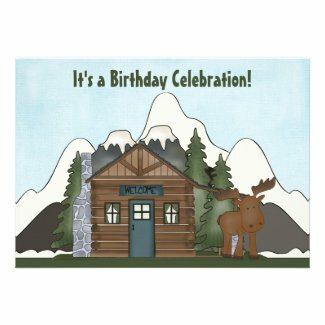 This collection of cute mountain themed birthday invitations feature cabins and adorable bears, moose, beavers and raccoons. 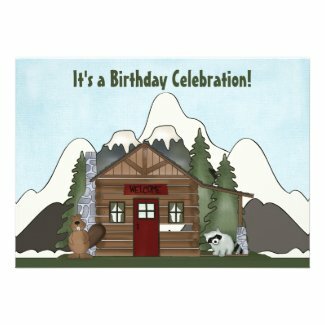 Each invitation can be personalized with your birthday boy or girl's name and party details. 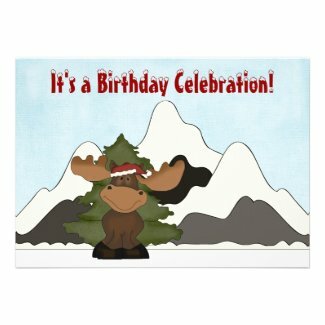 Just select your favorites from below to view additional information and edit. 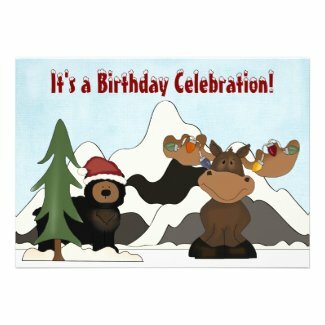 For even more invites take a look at Cute Personalized Christmas Birthday Invitations.